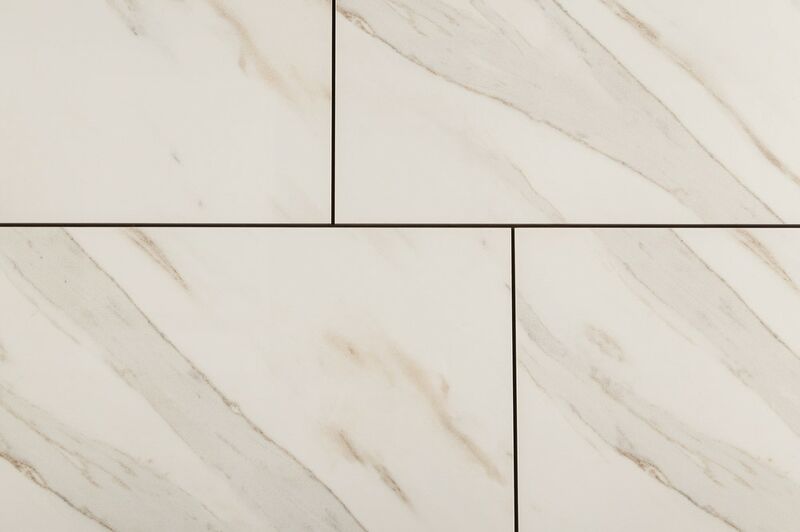 For marble patterning in a glazed porcelain tile, the Pietra series on the Cabot label offers a range of colors and sizing to match your interior tile project. For the earthy look of a natural stone surface, this series of glazed porcelain tile represents a decorative, first-quality tile suitable for a variety of spaces. 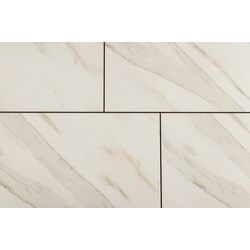 Porcelain Tile - Raw Silk Series - White / 12"x24"
Italian Porcelain Tile - Element II Series - Blanc / 6"x24"
Italian Porcelain Tile - Olympia Series - White Vein Cut / 12"x24"
Porcelain Tile - Antares Series - Saturn Coal / 16"x24"
Porcelain Tile - Redwood Series - Natural / 6"x24"
Ceramic Tile - Barcelona Wood Series - Rustic Wood / 6"x24"
Ceramic Tile - Barcelona Wood Series - Heritage Wood / 6"x24"
Ceramic Tile - American Wood Series - Copper Oak / 6"x24"
Ceramic Tile - American Wood Series - Wheat Oak / 6"x24"
Porcelain Tile - Redwood Series - Natural / 6"x36"
Porcelain Tile - Gemma Stone Series - Grigio / 12"x12"
Porcelain Tile - Wilderness Series - White / 6"x36"
Porcelain Tile - Redwood Series - Mahogany / 6"x24"
Ceramic Tile - Harbor Wood Series - White Oak / 6"x24"
Porcelain Tile - Moderna Collection - Bisque / 12"x24"
Porcelain Tile - Hampton Wood Series - Walnut / 6"x24"